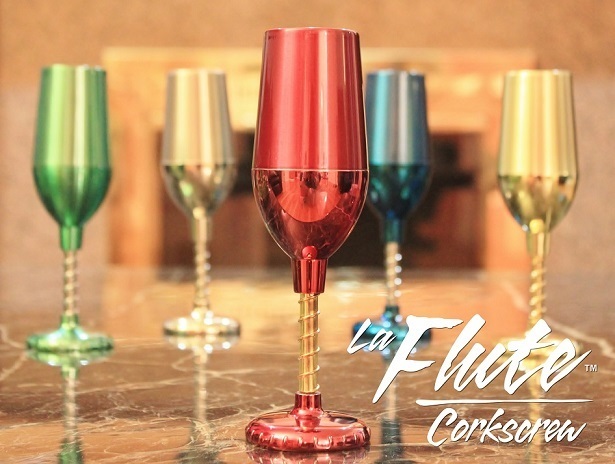 Awarded the silver medal at the Korean Exhibition of Patented Technologies, the La Flute Corkscrew is unlike any other corkscrews seen on the market today! 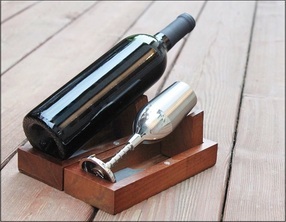 Shaped like a wine glass, the corkscrew does not completely penetrate the cork, preventing cork debris to ever fall into your brand new bottle of wine. Due to it's one of a kind design, it is not only easy and fun to use, but the cork will never break during extraction. With a built in foil cutter, separate foil cutting attachments are not needed. 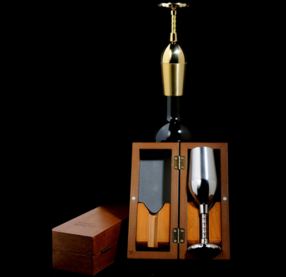 You can even use the box to display the wine and the La Flute! We offer full 30 day warranty on all products against manufacturer defects from the day the product is delivered (not including S&H). A new replacement will be shipped once the defective product is returned with the standard S&H fee.